Valley Toyota Dealers consists of 10 Toyota dealers in the metropolitan Phoenix area, including AutoNation Toyota Tempe, Avondale, Bell Road, Big Two, Camelback, Earnhardt, Larry H. Miller, Right, Riverview and Toyota of Surprise. Since 1989, these dealerships have been committed to providing their customers with the utmost expertise, knowledge and customer service available in the industry today. Aside from providing its customers with the latest and greatest vehicle lineup, sparkling showrooms and exceptional service centers, Valley Toyota Dealers remain committed to building better communities for those they serve. The association has donated more than $1 million to Phoenix Children’s Hospital over the years, most recently supporting the hospital’s teen driving safety initiatives. 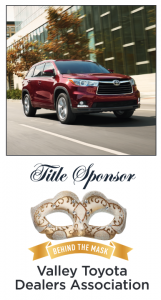 In 2018, Valley Toyota Dealers launched a tremendous community campaign in partnership with Univision Arizona, supporting 13 local nonprofit organizations. Vehicle for Change—Un Vehiculo Para el Cambio en Nuestra Comunidad—benefits various causes and individuals in the community. Partners include Be A Leader Foundation, Chicanos Por La Causa – De Colores, Gabriel’s Angels, Impact One Breast Cancer Foundation, Teach for America, Voices for CASA Children, Duet: Partners in Health & Aging, UMOM New Day Centers, Upward Foundation, Heart for the City, Fresh Start Women’s Foundation, American Legion Post 41, and MASK. 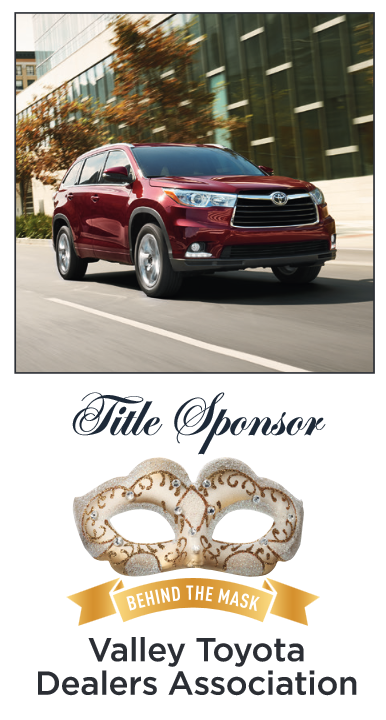 Vehicle for Change champions organizations that serve as a voice for the Latino community, such as MASK, and Valley Toyota Dealers are honored to serve as the bridge between the need in the community and the solution.